Glowing Skin in 30 Minutes! Let’s talk about skincare! Ever since I took acne medicine, my skin has become super dry. I’m constantly looking for ways to keep it glowing, using creams and oils but most importantly: getting professional facials. It’s not a secret that I love a good highlighter, but what if I tell you that I found a facial that gives me that “highlighter effect” without having to use makeup! It’s called HydraFacial, and the best part of it is that it only takes 30 min of your day! Hablemos del cuidado de la piel! Desde que tomé medicamentos para el acné, mi piel se puso seca. Estoy siempre buscando maneras de mantenerla hidratada y que se vea saludable, así sea usando cremas y aceites pero más importante, haciéndome faciales profesionales. No es un secreto para ustedes que yo amo un buen iluminador, pero me creerías si te digo que encontré un facial que me da ese “efecto luminoso” sin necesidad de ponerme maquillaje? Se llama HydraFacial, y lo mejor de todo es que sólo toma 30 minutos de tu día! 1. Cleanses and Peels: This step might feel a little bit rough in the skin because the machine is exfoliating but it does not hurt a bit! 2. Extracts and Hydrates: In this step you will feel like the machine is pulling all the dirt from your skin, but don’t worry! It’s just cleaning every single pore of your pretty face! 3. Fuses and Protects: In this last step your skin will be saturated with antioxidants so it stays clean and hydrated for weeks! 1. Limpieza y Peeling: Este paso tal vez se sienta un poco fuerte en la piel ya que la máquina está exfoliando, pero no duele para nada! 2. Extracción e Hidratación: En este paso vas a sentir que la máquina está succionando toda la suciedad de tu piel, pero no te preocupes! Simplemente está limpiando cada poro de tu lindo rostro! 3. Protección: Es este último paso, tu piel será saturada con antioxidantes para que se mantenga hidratada por semanas! The results were instant! My skin is super sensitive and it didn’t look irritated or red after the facial. The Hydrafacial is perfect of any type of skin and it helps with fine lines, brown spots, engaged pores, oily skin and more! I can’t be happier! 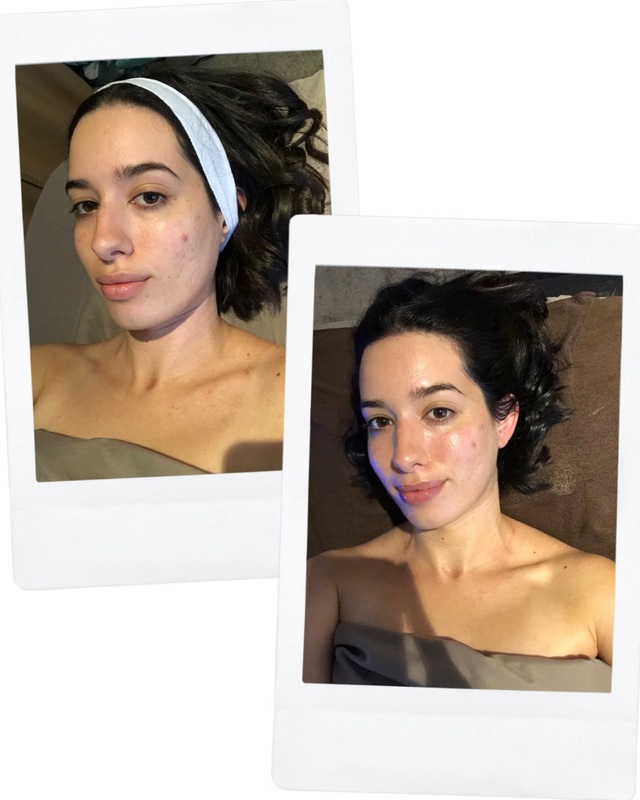 My skin looks and feels so much better with this facial and if you don’t believe me, just look at the before and after pictures! Los resultados fueron instantáneos! Mi piel es súper sensible, y ni siquiera se veía irritada o roja después del facial. 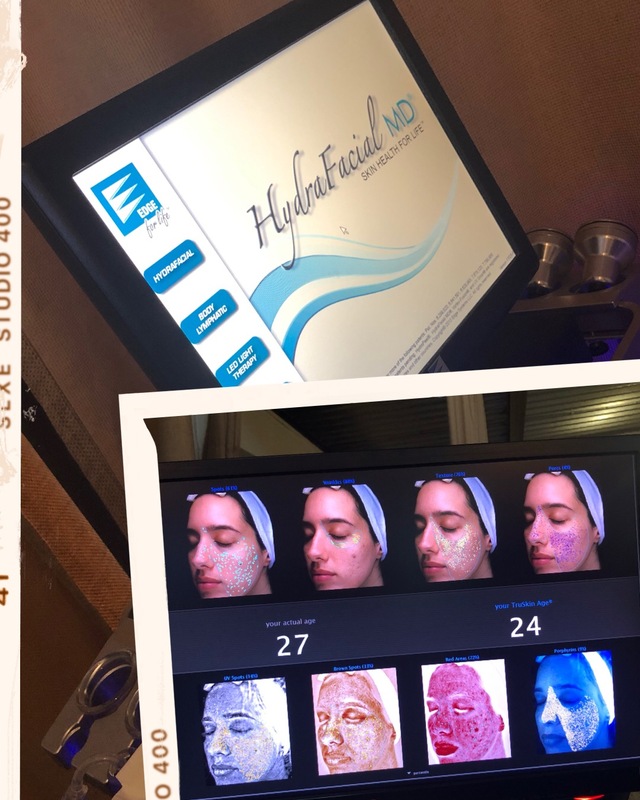 El Hydrafacial es perfecto para todo tipo de piel y ayuda con las líneas finas, manchas, poros abiertos, piel grasa y más! No podría estar más feliz! Mi piel se ve y se siente mucho mejor, y si no me crees, tan solo ve las fotos del antes y después! This post is sponsored by HydraFacial and The Motherhood. Déjame saber si algún día lo pruebas! 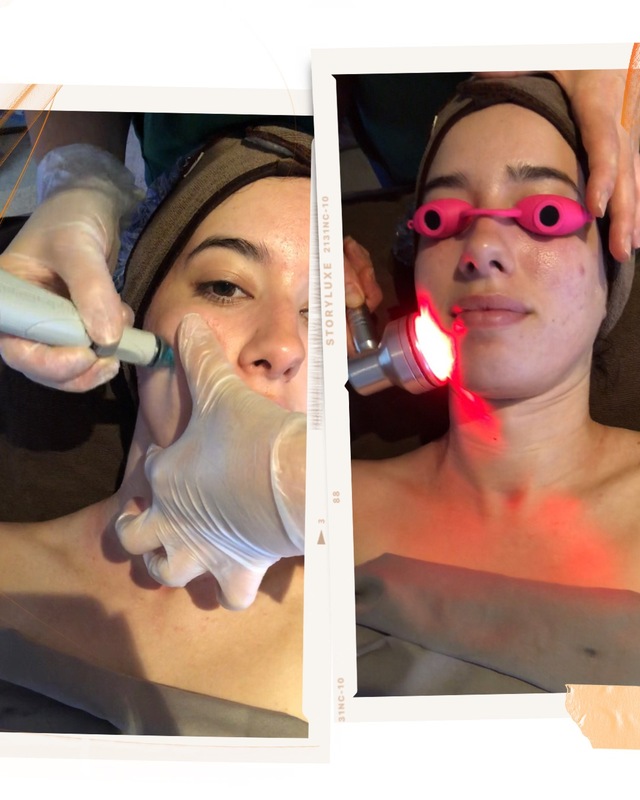 Este post está patrocinado por HydraFacial y The Motherhood.